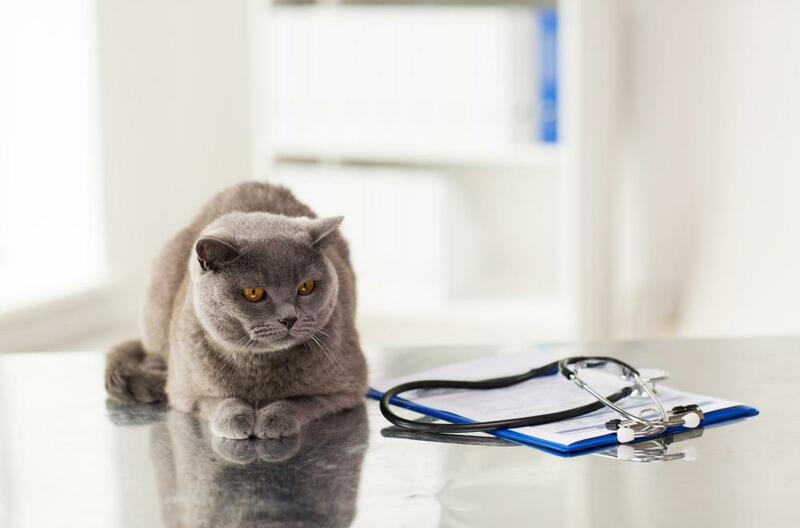 It is hard for a human to go to a new doctor, but the experience can be even more difficult for a pet who is going to see our veterinarian in Laguna Hills for the first time. There are many reasons why they may be new. They might be a young animal, their pet parent moved into the area, or maybe they need special services that require a veterinarian that has a bit more specialty knowledge. Whatever the reason, these pets and their pet parents can feel at ease bring their fluffy someone into Trinity Pet Hospital in Laguna Hills. Before coming in, it is best to be as prepared as possible. Here are a few things you can expect when you are bringing your pet in for their first visit. Expectations for a patient's first visit go both ways. Since it is likely that neither you nor your pet will want to wait, we try to keep things moving in order to allow for the vet to see your pet at your appointment time. It is helpful if you are able to have all online forms printed out and completed before your appointment time, especially if your pet is a new patient. In many cases, knowing your pet's medical history makes a difference on how we approach treating them. It makes us more comfortable with them and allows for them to be comfortable for us. There are two main forms to download and print before you bring your pet in for their first visit to see out veterinarian in Laguna Hills; the Client Info Sheet, which is required for everyone, and the drop-off form, which is relevant you if you expect to leave your pet and return later rather than waiting for them in the office. When it comes to payment for care of your pets, we do expect that their bill is paid immediately after the care is provided. We accept a variety of payment options including, cash, credit and debit cards. We do not make it our practice to send out bills. We do, however, work with a credit company called CareCredit.com, and it can be helpful for many pet parents who is pet bill is higher than expected. While it is subject to approval, pet parents are normally able to have their bill split into 3 installments that make it easier on your budget. The CareCredit program carries no annual fee, and services are interest-free for 6 months. For those who like to think beyond their pet's immediate vet visit, we do have a relationship with pet insurance providers that can reduce the number of services in exchange for your monthly payment. Of course, for most pets, the deciding factor on whether you bring your pet in comes down to the veterinarian. Dr. Kerolos at Trinity Pet Hospital in Laguna Hills, California brings knowledge of veterinarian medicine goes beyond the basics. He has developed specific expertise in internal medicine, dermatology, soft tissue surgery, and eye surgery. If you need a veterinarian in Laguna Hills that is experienced, compassionate and trustworthy, look no further than Dr. Kerolos at Trinity Pet Hospital. Call 949-232-1788 to schedule an appointment.